USADA announced today that Marquise Goodwin, of Desoto, Texas, an athlete in the sport of track and field, has accepted a one-year suspension for failing to properly file and maintain his Whereabouts information. Goodwin, 26, is a member of the USADA Registered Testing Pool (RTP), which consists of a select group of athletes subject to certain Whereabouts requirements in order to be located for out-of-competition testing. Within a 12-month period, Goodwin accrued three Whereabouts Failures, the first for failing to submit his 4th Quarter 2016 Whereabouts Filing by the specified deadline and the second for missing a test on January 17, 2017, which was confirmed by the International Association of Athletics Federations (IAAF). His third Whereabouts Failure occurred when he failed to file his 2nd Quarter 2017 Whereabouts Filing by the specified deadline. Goodwin was tested once out-of-competition in 2017. Under the USADA Protocol for Olympic and Paralympic Movement Testing, the United States Olympic Committee National Anti-Doping Policies, and the IAAF Anti-Doping Rules, all of which have adopted the World Anti-Doping Code, the accumulation of three Whereabouts Failures within a 12-month period constitutes a rule violation. Goodwin’s one-year period of ineligibility began on April 1, 2017, the date of his third Whereabouts Failure in a 12-month period. As a result of the violation, Goodwin has been disqualified from all competitive results achieved on and subsequent to April 1, 2017, including forfeiture of any medals, points, and prizes. 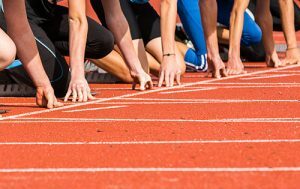 Accurate Whereabouts information is crucial for effective out-of-competition testing, which helps deter and detect doping by enabling no-notice sample collection. This is especially important because some prohibited substances have limited detection windows. In an effort to help athletes understand and fulfill their Whereabouts requirements, USADA conducts in-person and online educational sessions with athletes, sends email reminders about filing dates and obligations, maintains online and app-based filing and updating platforms, and gives athletes the option to receive daily and weekly reminders of their provided Whereabouts information.